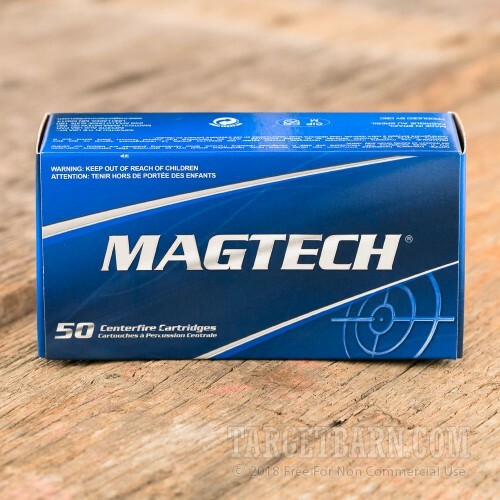 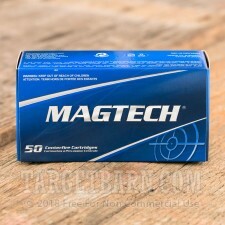 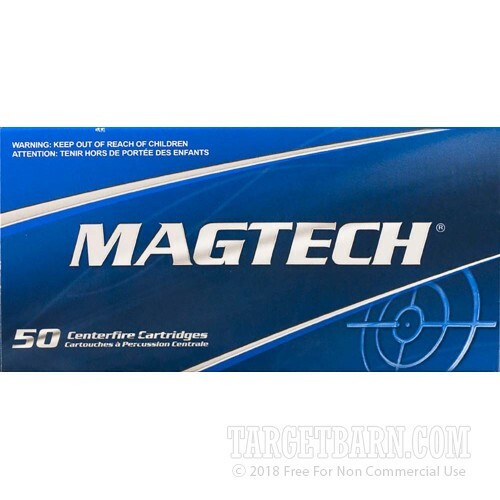 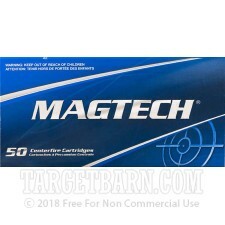 This Magtech target ammo is affordable and consistent. 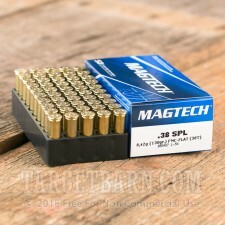 These rounds have a 130 grain full metal case bullet and muzzle velocities around 800 feet per second, depending on barrel length. 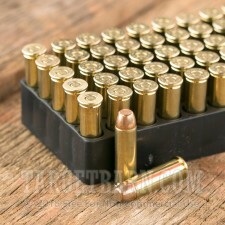 This ammo is also brass cased, Boxer primed and reloadable. 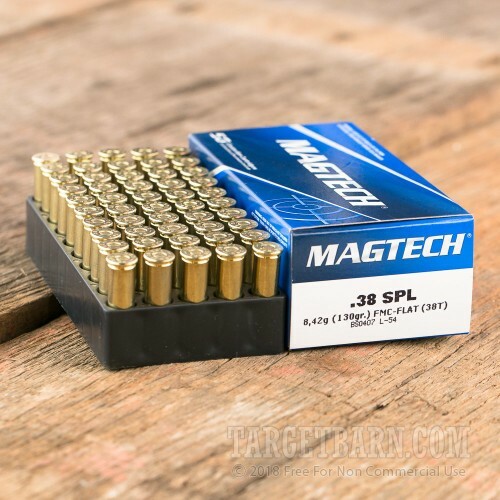 This ammunition should fire well out of any revolver or lever action rifle chambered for 38 special, and will provide a great range training experience for any experience level shooter.